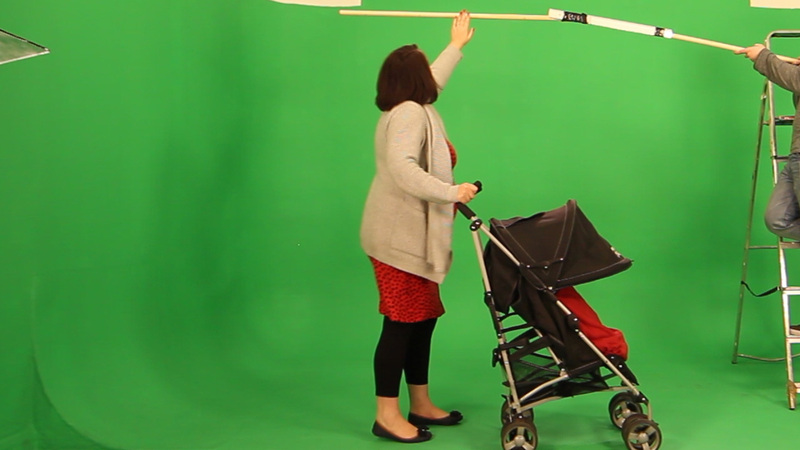 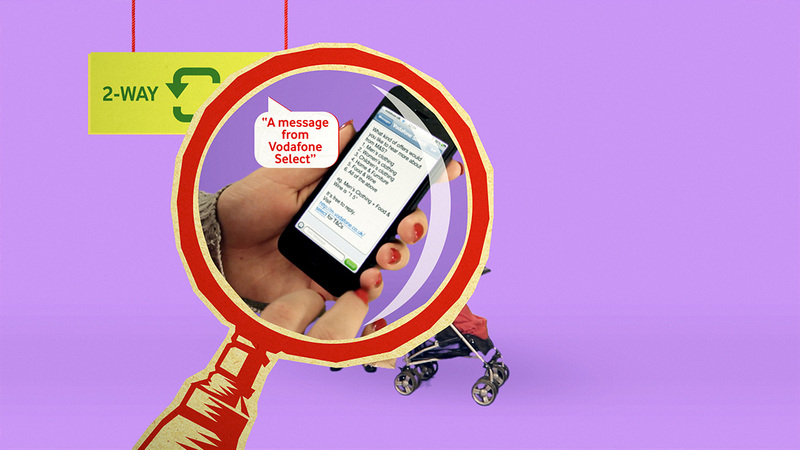 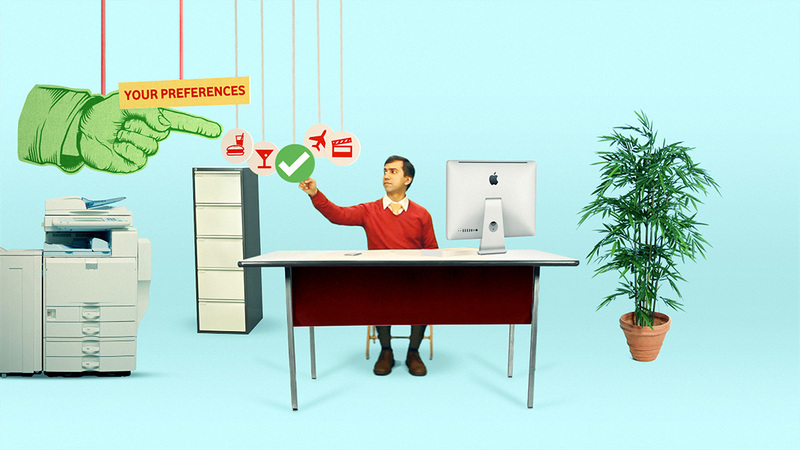 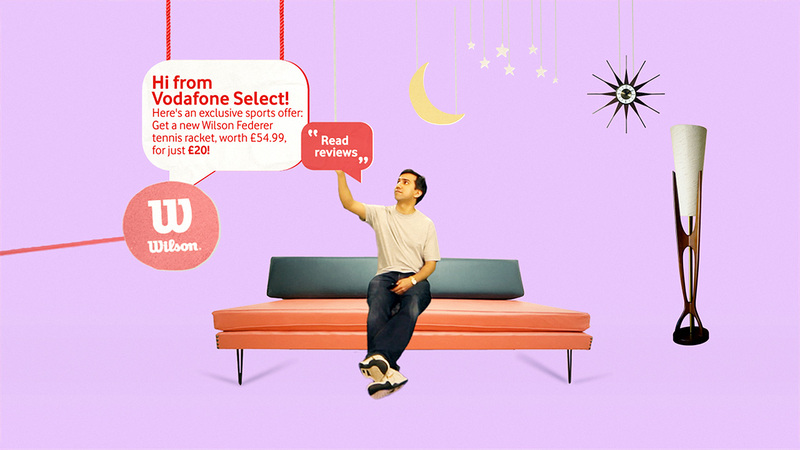 Promotional film to highlight the benefits of Vodafone Select. 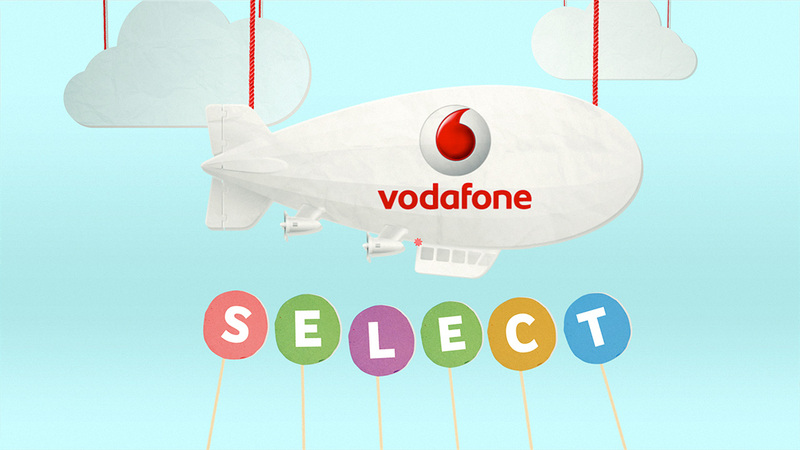 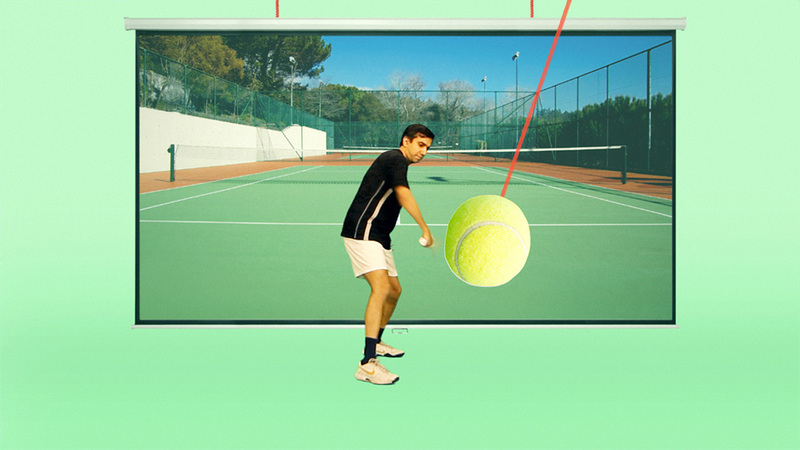 To celebrate the launch of Vodafone’s Select programme, we created an introductory film that highlighted how customers could get involved and receive the latest money-saving offers from the world’s biggest brands for free. 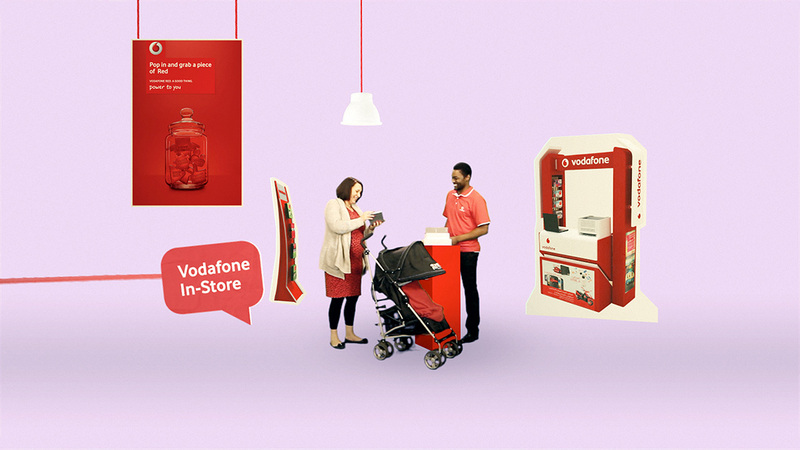 We created a ‘world’ built specifically for the customer, brought to you by Vodafone. 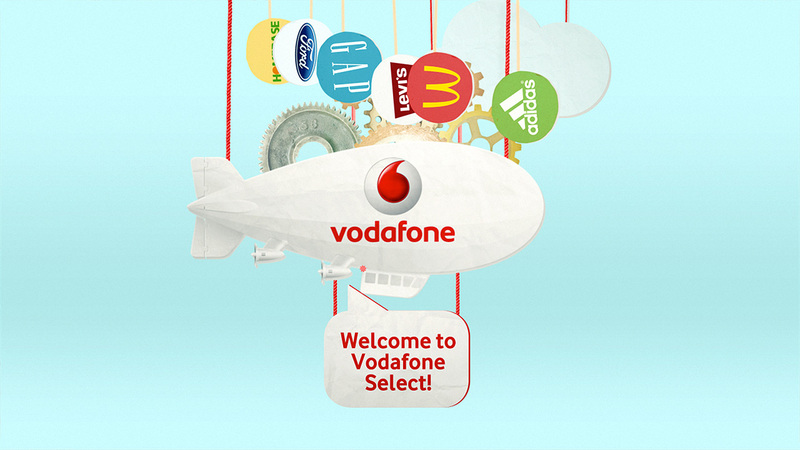 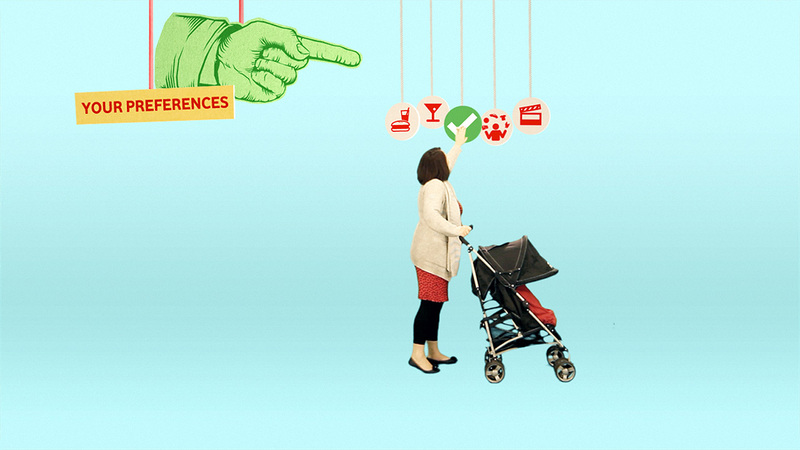 Objects and environments playfully engaged with our central characters, highlighting the convenience and personalised service on offer, all thanks to Vodafone Select. 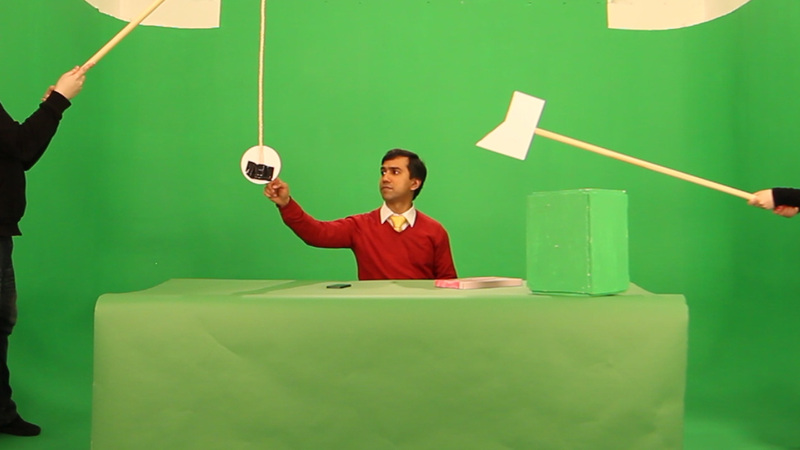 I worked with the creative team at Movement to develop a script and bring it to life on set as well as through the overall look and feel of the film. 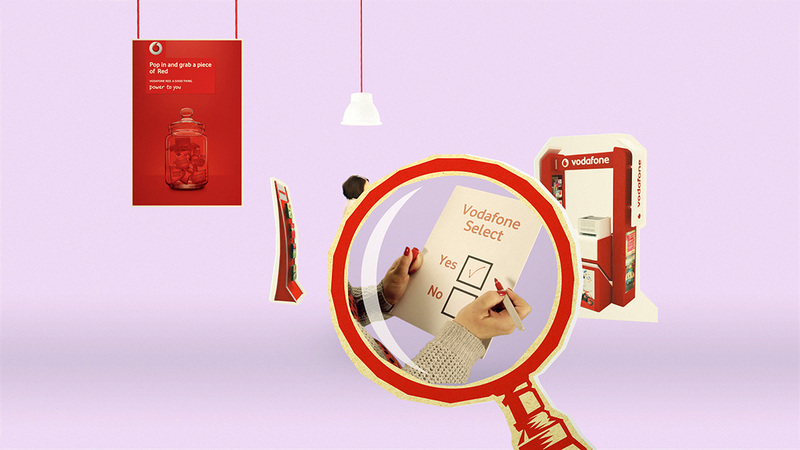 We worked in post to develop a fun and playful animation that highlighted the ‘bespoke’ themes of the film and the product.